If you follow me on social media you know how much I love Home Chef. I get boxes almost every week and after a year of eating their meals I have had MAYBE 3 that I wasn’t a fan of. They also have great customer service. There are times when a box will come and some food may be damaged or unusable and they are great at making sure they refund you for that meal or box depending on the severity of the damage. I have wanted to post some of the recipes for a while now but I was always forgetting to take pictures. Well the other night I finally remembered but since then I have cooked two meals that I forgot to document…woops! I will try and get better at it, promise! 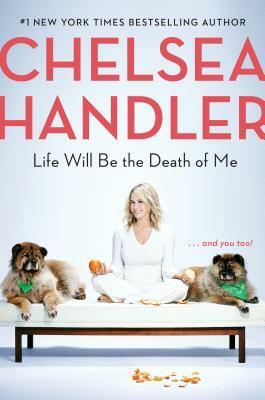 Some of the ingredients in the recipes are pre-made by Home Chef, like the chipotle mayo & crispy jalapenos in this one, so you would have to improvise in some instances if you want to use the recipes. 1. Preheat oven to 450 degrees and prepare baking sheet with foil and cooking spray. 2. 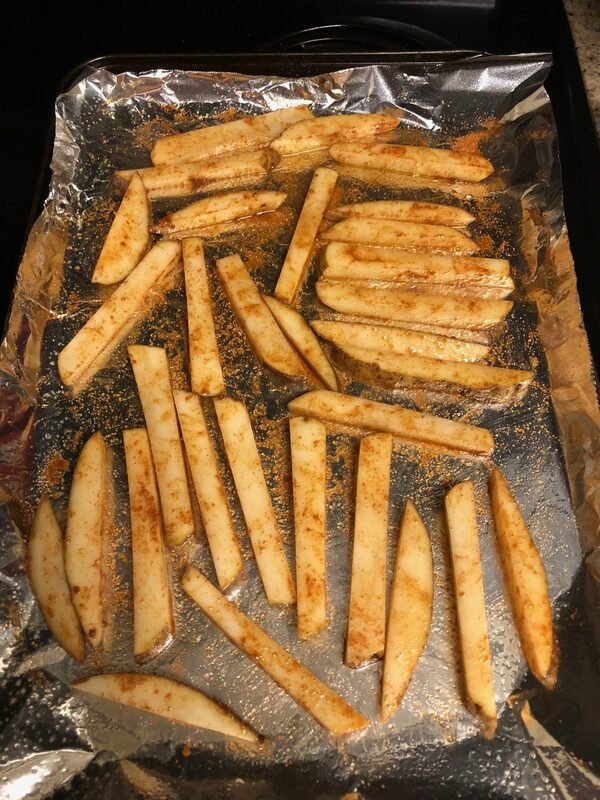 Cut potatoes into 1/2″ sticks and place them on prepared baking sheet. Toss with 1 tbsp olive oil, the chile/cumin rub, and 1/4 tsp of salt. Spread into a single layer and bake 18-20 minutes. 3. Stem and mince jalapeno, removing seeds & ribs if you want less spice. Mince cilantro, no need to stem. 4. 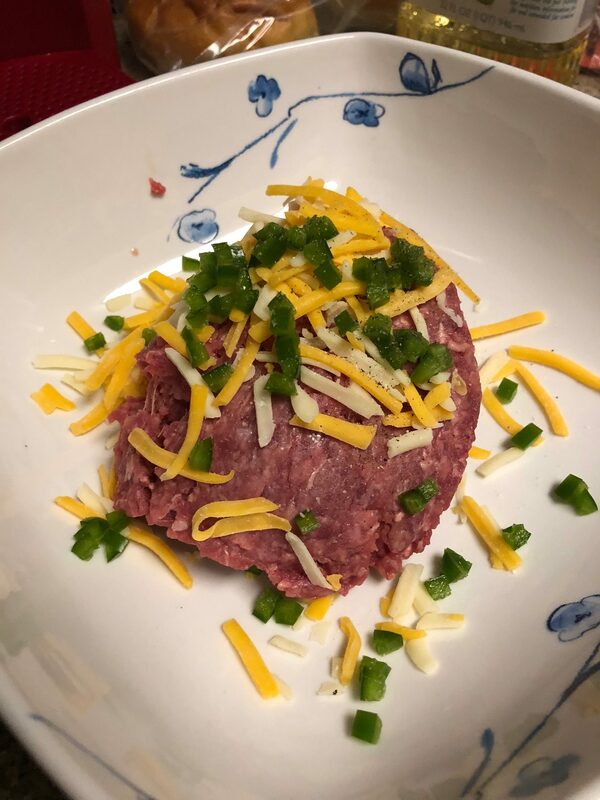 In a mixing bowl combine the ground beef, minced jalapeno (to taste), half the cheese, 1/4 tsp salt, and a pinch of pepper. Form into two patties, about 1/2″ in thickness. 5. Place a medium non-stick pan over medium heat and add 1 tsp of olive oil. 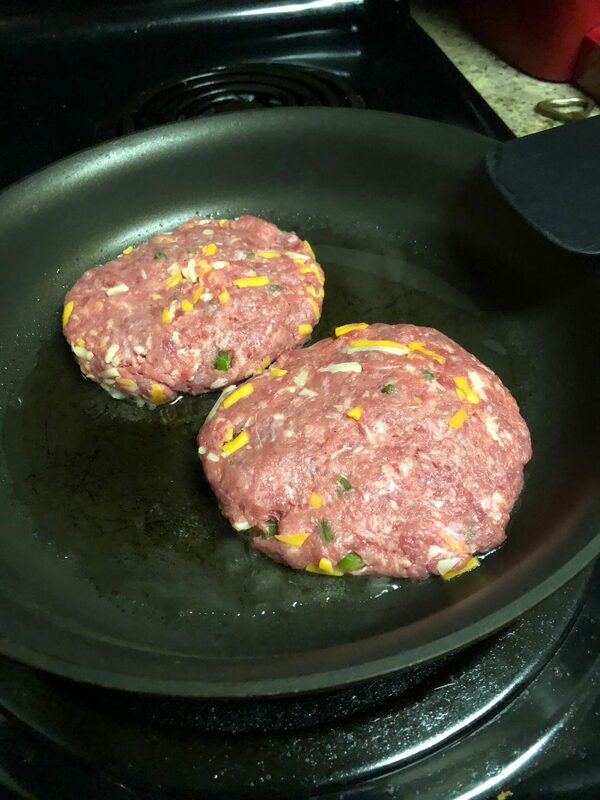 Add patties to hot pan and cook for about 4-6 minutes. Flip patties & cover cooking for another 4-5 minutes. Top burgers with remaining cheese and cover until cheese is melted, about 1-2 minutes. 6. Toast the buns either in the oven for a minute or in a toaster. 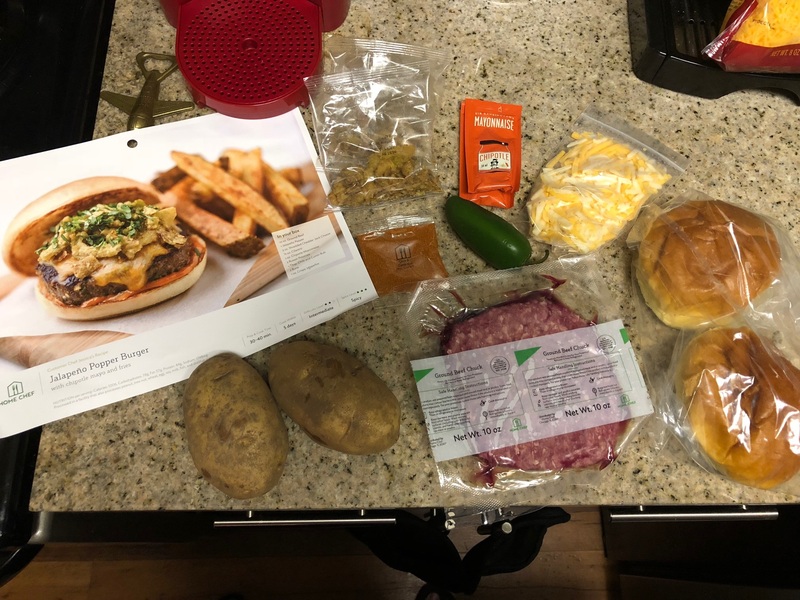 Put the chipolte mayo on the bun, top with burger, crispy jalapeno pieces and cilantro. Enjoy! Every single Home Chef meal I always use more shredded cheese than they give. Keep in mind 2 oz is not a lot especially since it is going into the burgers and to top the burgers. Personal preference of course!